Asa Mann was a merchant, farmer, and lumberman in the early 1800’s. His agricultural and business contributions in Tioga County evolved into a community proudly bearing his name: Mansfield. Mansfield is the home of the first nighttime illuminated collegiate football game in Smythe Park and is where the Tioga River is one of the few rivers in the world to flow north. It’s a place with salt of the earth attitude– surrounded by the natural beauty of the Gateway of the Pennsylvania Wilds; and where students from all over the world have earned their degrees at Mansfield University. 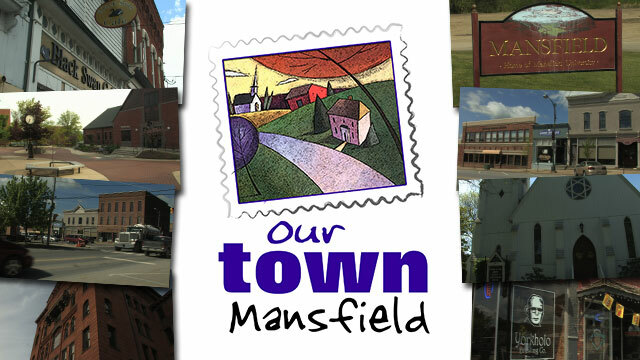 Residents from Mansfield, Pennsylvania volunteered their time to become videographers and storytellers for “Our Town: Mansfield”. They narrowed down which landmarks, events and local stories the documentary would explore. Each subject was assigned to a volunteer to videotape and participants were then interviewed about why they chose to become involved. Meet the proud, traditional people of Tioga County, and see through their eyes why Mansfield was, is, and always will be home.